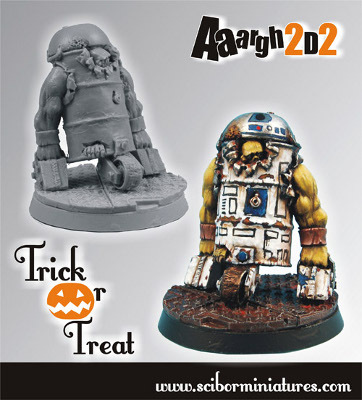 Scibor Miniatures has released their Halloween Model and is having a Halloween sales event. Halloween , so we have another promotion for all our clients! To every order for minimum $40 (without shipping cost) placed and paid until the end of October we will add our promotion model - Aaargh2D2. You may also buy this model in 28mm SF Miniatures section.